THE ART OFFICIALS (ANTONIO DARDEN AND MATT SIGMON) - FLUX 2011: WE BEEN HAD DAT! The Art Officials present We Been Had Dat! from Matt Sigmon on Vimeo. 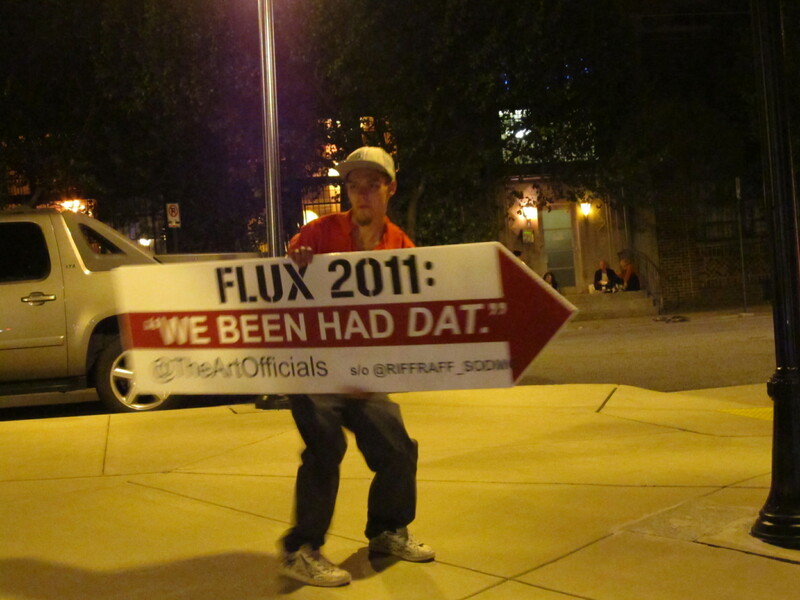 Flux 2011: We Been Had Dat! 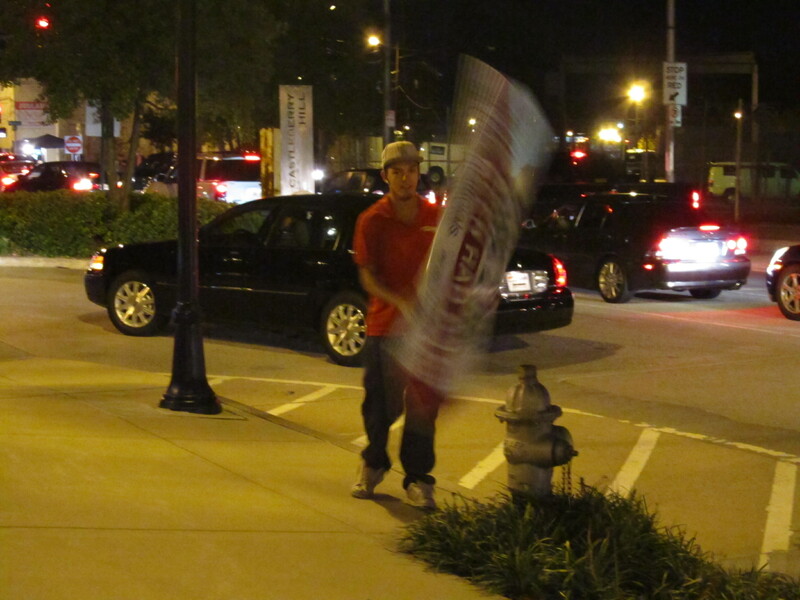 Completely unofficial and unsanctioned performance by the Art Officials featuring hired professional sign spinner, Tom Tucker c/o Aarrow.